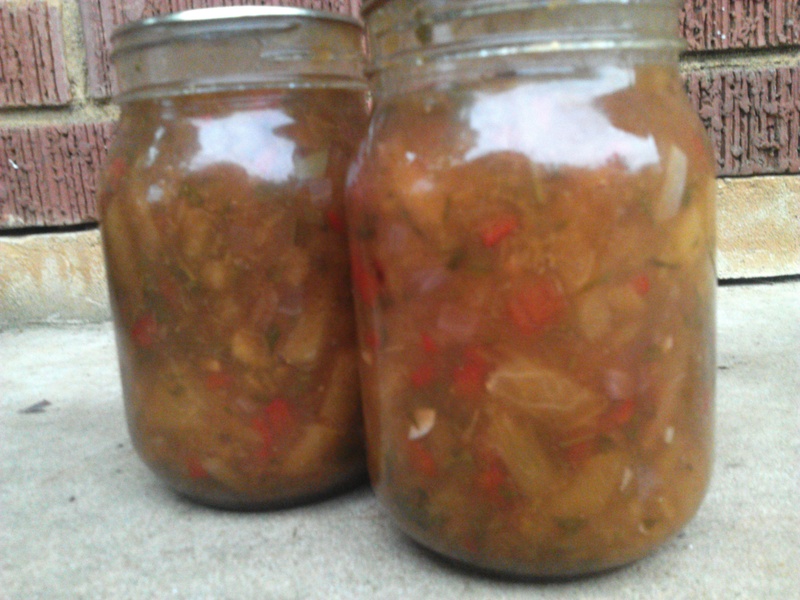 Peachy Peachy Peachy – Canned, Salsa and BBQ! We love peaches, love them in cottage cheese, ice cream, yogurt, on pancakes… love them sweet, love them spicy, love them any way you can bring them. While I do think that I have the best salsa recipe ever, I also recognize that sometimes a sweet salsa can have a place. This salsa can be delicious over chicken, fish, with chips, fruit chunks or eaten with bites of crackers, carrots or whatever else happens to be available in the absence of tortilla chips (or so I have heard). Then again, if your going to put salsa on chicken… why not just make peach barbecue sauce? 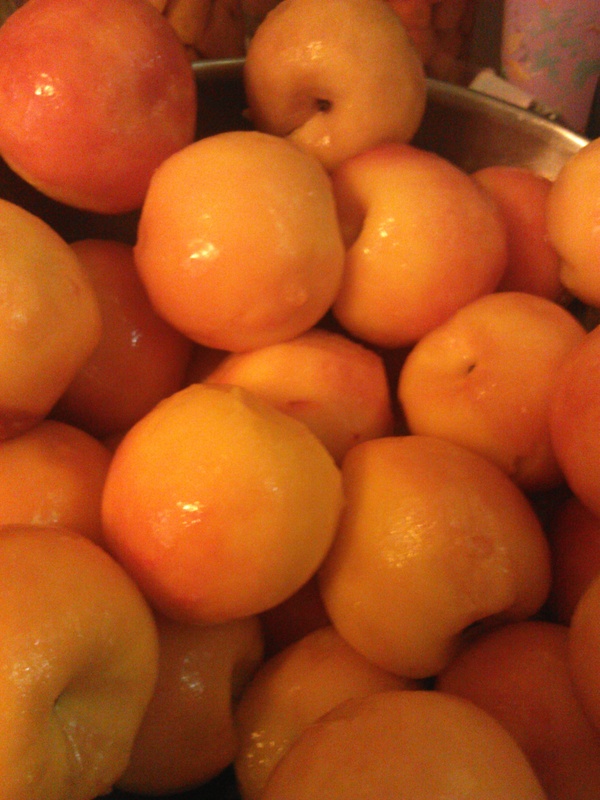 Or heck, just plain peaches. Anyway you go, its just peachy. Ok. Now I am corny. Orange you glad I am stopping? Seriously (I’m even rolling my own eyes now). 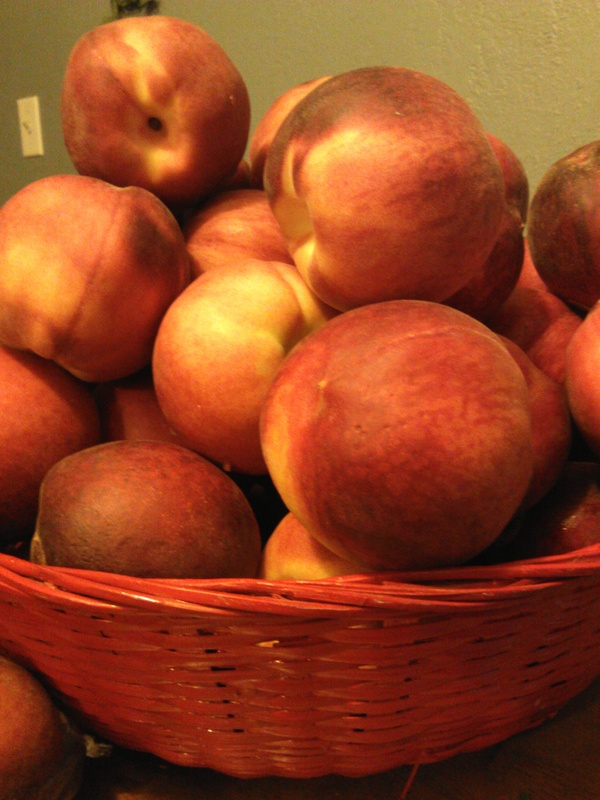 In our home, we can a lot of peaches. If you have ever done this, you know when you are done stuffing all the peaches into jars there are always bits left over that didn’t fit, got mushy, didn’t peel right or whatever the case may be. We keep these set aside in a bowl and they become one of these three recipes. I didn’t take pictures of all of them because we had 60 pounds of peaches and I was going to go for it while I had helpers! 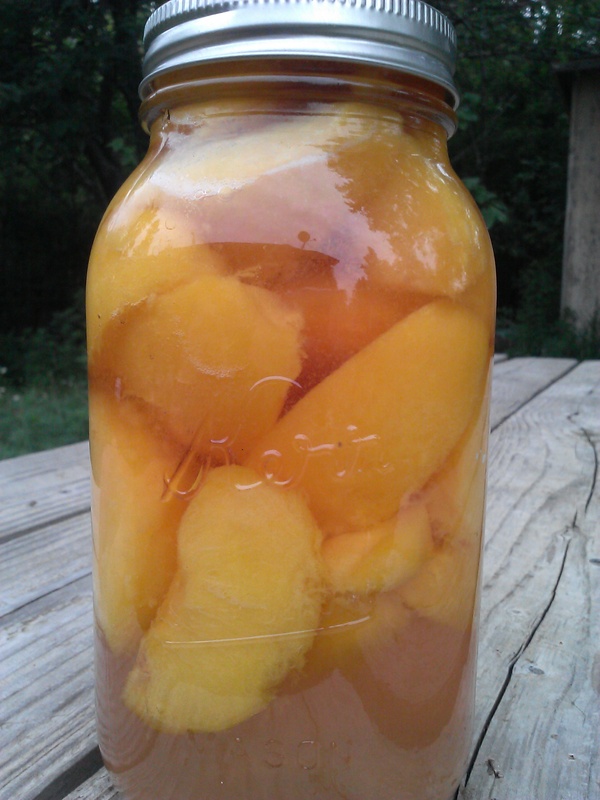 Basic idea of canned peaches is to dip your peaches in boiling hot water. I leave mine in about 30 seconds then lift out and put into cold water. The skins will slip right off. Most people cut them in half and layer them in beautiful wide mouth jars but I am a rebel. Well, not really but I prefer to cut mine in quarters because it provides kids more pieces, its easier to stuff a jar and its a whole lot quicker to fill jars this way. I drop mine into a large bowl with a gallon of water and a splash of lemon juice. Other people like absorbic acid. Whatever you choose is fine! I’d rather have a full jar then a pretty jar. Bad in the world of canning I know but honestly, they go on the shelf in the basement and nobody sees them. I am more about moving quick and when the kids are helping … well this is something they can do. I’m not picky. I won’t win a blue ribbon but my kids think I am awesome so that counts! Not Pretty – Don’t Tell! The idea is simple. Chop up all your leftover pieces of peaches that are mushy, soft, bruised, ugly, didn’t peel… whatever. Pop them into your jars and add 1/2 tsp cinnamon to pints or 1 tsp cinnamon to quarts. Fill these up with whatever syrup you are using. I typically use a light syrup of 5 cups water and 2 cups sugar or 1 cup sugar and 1 cup honey. Brown sugar, rapadura or other sugars work well here. Cop with 1/2 inch head space and process in BWB for 25 minutes (pints) or 30 minutes (quarts). This is delicious heated up and poured over waffles! This recipe is from Ball Complete Book of Home Preserving. The only change I made was to add 1/3 cup of lime juice. Cilantro without lime juice is just wrong. Seriously wrong. I typically chop all my peppers, onions and herbs before I start. I swear I had a picture of this but I am completely unable to find it now. When that is done, set aside in large bowl. Add all ingredients except the peaches. Cut and measure your peaches right into the bowl, mixing as you go to let the vinegar continue preserving the color of the peaches. 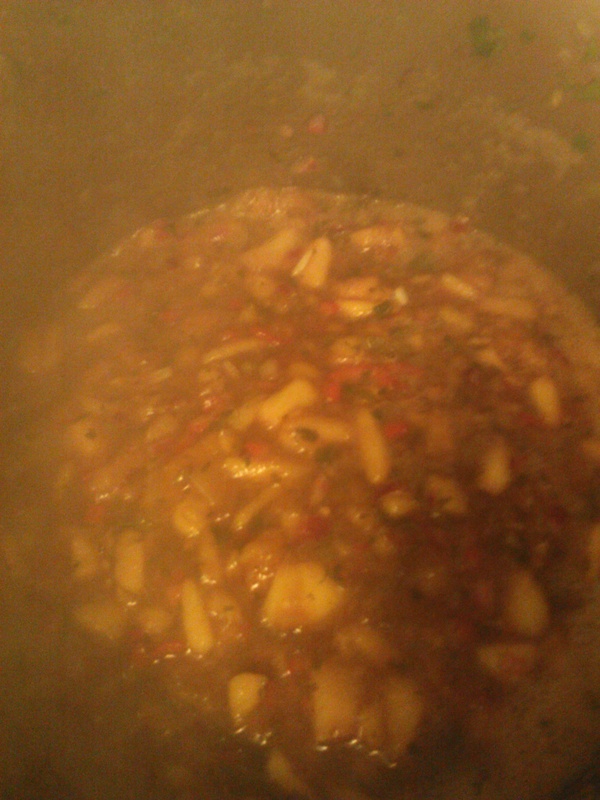 Combine all ingredients, bring to a boil over medium heat, stir constantly. Boil gently for about 5 minutes. The color goes away quickly, but magic does start to happen! This is a terrible pic, but its a pic nonetheless. You get the idea! Ladle into jars with 1/2 inch head space, cap and process in BWB for 15 minutes. Combine vinegar, peaches, and remaining ingredients. Bring to boil over medium heat. Reduce heat and boil gently, stirring frequently until slightly thickened, about 5 minutes. 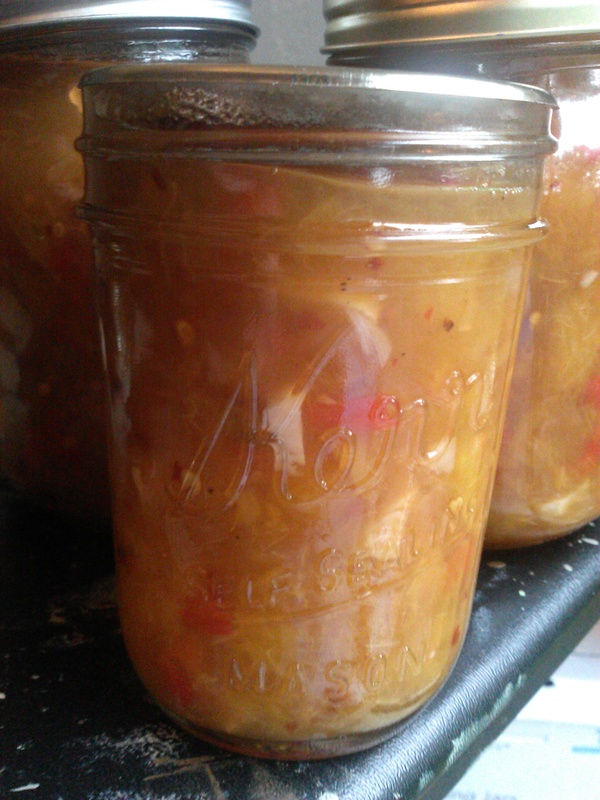 Ladle hot salsa into hot jars leaving 1/2 inch head space. Process in BWB for 15 minutes. This makes eight 8 ounce jars. *Note – I add 1/3 cup lime juice to this. It does not change consistency and the acidity level is high so this doesn’t harm the overall acidity level. Finally Zesty Peach Barbecue Sauce! This is AMAZING! I have used this over pork loin, chicken breasts both baked in the oven and grilled. 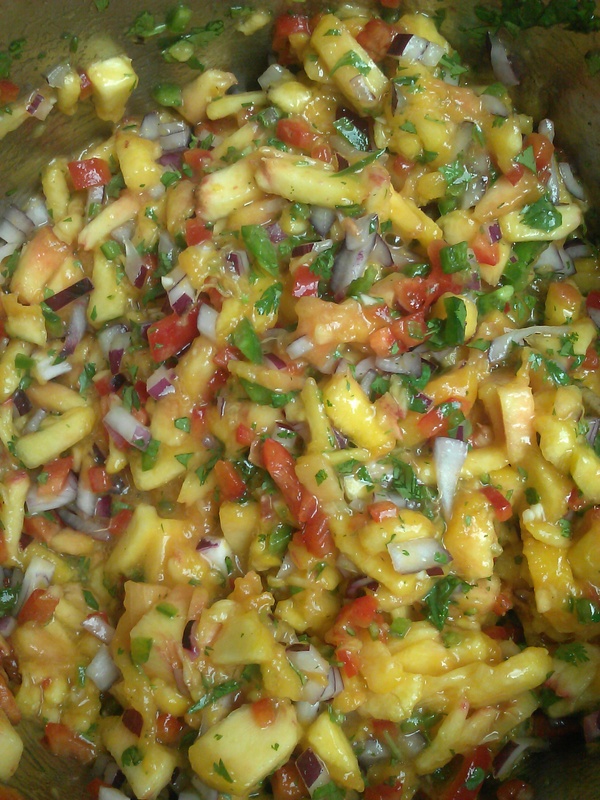 It is very similar to the salsa, so I will just provide the recipe. Combine all ingredients in large saucepan. Reduce heat and boil gently until consistency of barbecue sauce (this will remain chunkier and not smooth as it is not pureed) about 25 minutes. Ladle hot sauce into hot jars. Cap and leave 1/2 inch headspace. Process in BWB for 15 minutes.